CINCINNATI, OH (October 20, 2018) – The National Underground Railroad Freedom Center announces the extension of Mandela: The Journey to Ubuntu. The exhibition is extended through March 1, 2019. Mandela: The Journey to Ubuntu is sponsored by Thomas R. Schiff, John and Francie Pepper, Macy’s, and The John A. Schroth Family Charitable Trust, PNC Bank, Trustee. From humble beginnings to a life dedicated to resistance, Mandela: The Journey to Ubuntu tells the story of a young South African boy who became a man prepared to die in the name of equality, justice, and freedom. This exhibition provides a platform for a sharing of values so richly present in Mandela’s life to understand the role forgiveness, leadership, truth, and sacrifice play in overcoming the challenges we face in society today. Exhibition program offerings include community conversations, film screenings, and Mandela Fridays – where visitors can go on weekly guided tours with museum staff. Admission for Mandela: The Journey to Ubuntu is $10 per person with general admission, $5 for members. 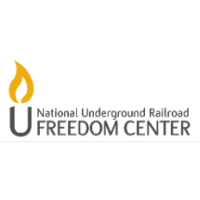 National Underground Railroad Freedom Center members receive free admission to the exhibition on Sundays. To learn more about exhibitions and programming at the National Underground Railroad Freedom Center, visit freedomcenter.org.